It was the sulfurous smell of the water issuing from Ostara’s galley faucet that finally tipped me over the edge. I could live with bottled drinking water, but when you can’t even bring yourself to wash dishes with your tank water, it’s time to do something about it. 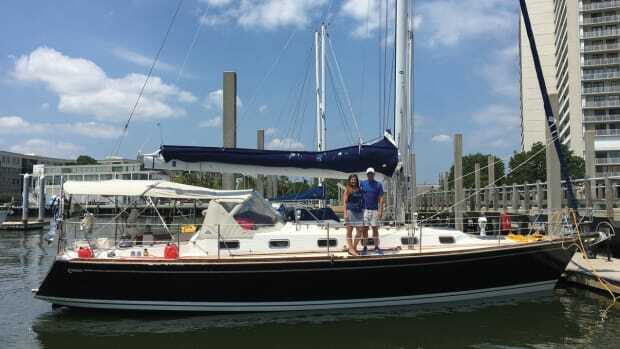 Plus, it was time to bring the boat into the 21st (?) century. There is much to be said for simplicity, but not if you have to listen to your family complaining about it. So one spring morning I tore every piece of plumbing out of the boat. It didn’t take long: there was only one faucet, fed by an ancient electric diaphragm pump, and a pair of foot pumps. No hot water, no cockpit shower, no faucet in the head. 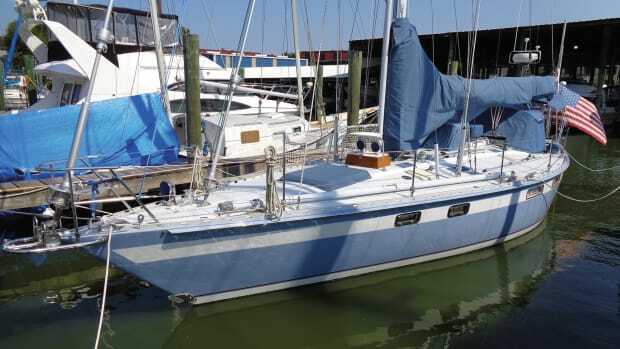 I planned to replace all the plumbing runs and the galley faucet, buy a new electric pump, add a faucet in the head and install a deck shower. A water heater was also on the upgrades list, since there is little point in having a pressurized system that is cold-water only. When you’re planning your new water system, there are two main decisions to make: what kind of tubing and what kind of pump you want to install. The polyvinyl (PVC) plumbing I pulled out of the boat’s darkest recesses was truly disgusting. Black growth coated its insides and a swampy smell wafted upward when I cut into it. Algae flourishes in the light that passes through clear PVC tubing, and even though regular shots of chlorine will kill the algae, it won’t get rid of the residue. So I knew I didn’t want to replace the old PVC tubing with more of the same. The only realistic alternative is to use semi-rigid tubing with quick-fit connectors. If you’re a real traditionalist, you could use copper plumbing with compression fittings, though I don’t know why you’d bother. Many DIY owners upgrading water systems in the past used semi-rigid polybutylene tubing, which was taken off the market in the ‘90s because it’s affected by chlorine. The type of semi-rigid tubing now available is made from cross-linked polyethylene. Known in the trade as PE or PEX, it has replaced copper in many commercial and residential applications and is ideal for the handy boatowner. 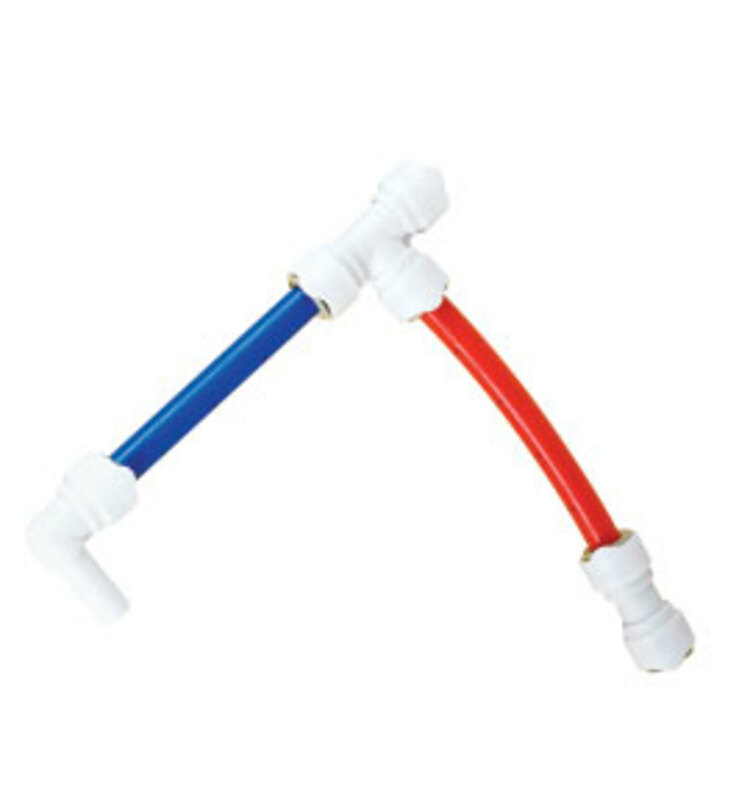 Whale Pumps and Sea-Tech make food-grade PE tubing that is available in 15mm or 5/8in OD, color-coded in red and blue for hot and cold water. The tubing bends to tighter radiuses than you’d think and is easy to install; you just cut to length and press the quick-connect fittings into place. Semi-rigid tubing doesn’t kink or crush like PVC tubing, and I think it looks more professional than clear hose. 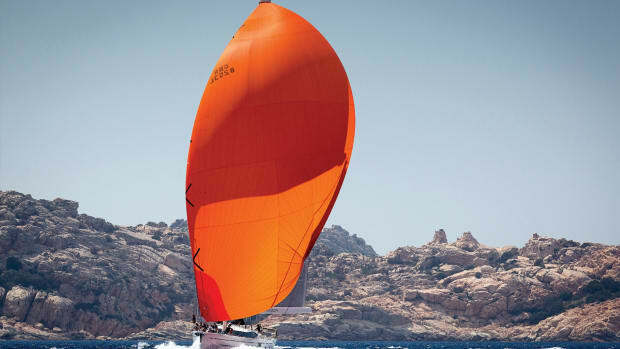 It is increasingly used by boatbuilders for this very reason. Although PE tubing is actually cheaper than PVC, the quick-connect fittings are expensive enough that you will want to plan out your installation so as to minimize the number of connections. That said, all is not necessarily as it appears. For example, West Marine sells a two-pack of Whale’s Equal Tee quick-connect fittings for $16.49, while a pair of conventional 5/8in nylon hose tees is just $4.78—less than half the cost. However, with the nylon hose tees you’ll also need six stainless steel hose clips at a cost of $1.99 each, bumping the total price tag for the “low-cost” solution up to $33.21. West Marine lists Whale’s 15mm tubing at $1.49 per foot (blue), compared to food-grade reinforced 5/8in PVC hose at $1.79 per foot. This makes semi-rigid tubing look like a pretty good deal, although you do need to spend some extra money on a pipe cutter. Both Whale and Sea Tech make adapters that let you connect semi-rigid tubing to the hose barbs on many fixtures or to a short length of PVC hose. Some pumps come with semi-rigid fittings. PE tubing is rated to around 60psi, and a typical onboard water system is highly unlikely to ever exceed 40psi. Water-pump technology has come a long way since the battered Jabsco Water Puppy impeller pump I removed from Ostara was new and shiny. 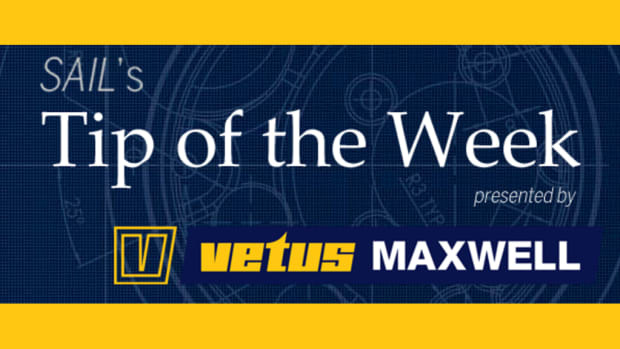 Jabsco, Shur-Flo, Johnson, Flo-Jet and Whale are the 500-pound gorillas of the water-pump world, and all offer pumps of varying sophistication. You can still order the same power-guzzling, belt-driven PAR diaphragm pump that was original equipment on a typical 1980s production boat, complete with a remote pressure switch and an accumulator tank to dampen the pulsing and hammering that plagued these classics; nothing could wake a skipper from a deep sleep than the woodpecker sound of a hapless crewmember turning on a faucet in the middle of the night. But why bother? 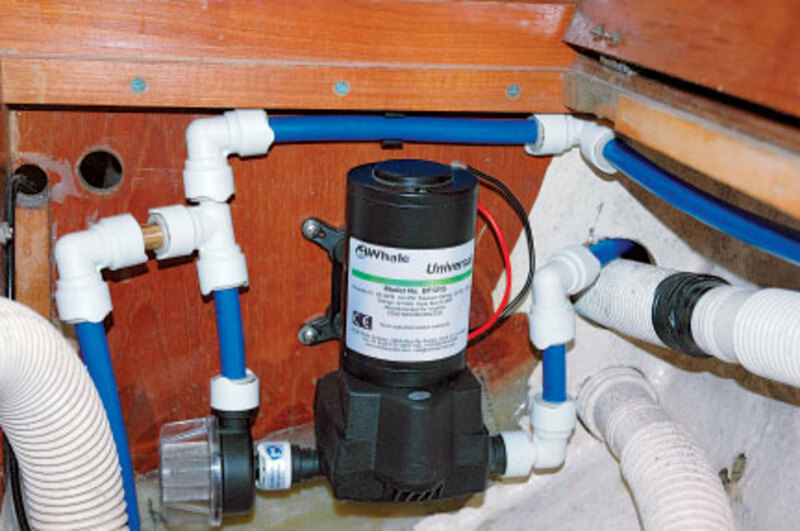 A typical modern 12/24V freshwater pump has an integral pressure switch so that water is available on demand; a variable speed function that adjusts pump speed to demand and eliminates the need for an accumulator tank; a run-dry sensor that switches off the pump if its motor overheats; and a multiple-chamber diaphragm that is quiet and efficient. It’ll also have a motor that consumes less current. To determine the correct pump size for your system, first determine the number of outlets. 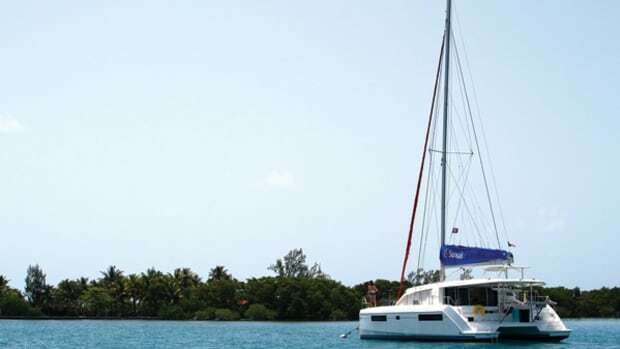 A typical cruising boat has no more than three: galley, head and deck shower. Pumps are rated by their output in gallons per minute (gpm). To get good pressure at three outlets, you’ll need a pump rated at 4gpm, or more if the plumbing runs are longer. 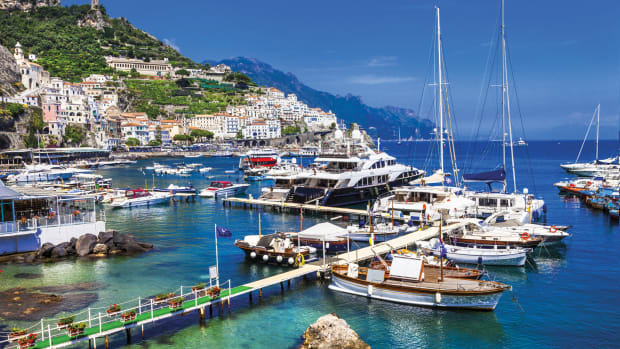 Don’t be tempted to oversize your pump; nothing wastes water on a boat like a pressure system, and from that perspective low pressure is preferable to high pressure.  There is nothing to stop you from walking into your local hardware store, buying one of the vast array of domestic faucets on display, and adapting it to fit your boat’s system. You could also buy one of the more limited range of faucets and mixers specifically designed for marine or RV use—and pay from $25 to $150 or more. I’m a fan of pullout showerhead-style mixers in both the galley and head, because they’re useful for cleaning up after spills and accidents. I believe there should be at least one manual or foot-operated freshwater pump on board, and preferably one each in the galley and head. These allow you to keep the electric pump switched off most of the time, thereby thwarting those wastrels who leave taps running while they brush their teeth. I advocate ditching all the existing parts of an outdated water system—pumps, piping, outlets, you name it—and starting from scratch. After all, you’re doing this because you want fresh, clean-tasting water. Why retain anything that carries the taint of years of use? If you can’t bear to part with those old fixtures, soak them overnight in a 50:50 water/vinegar solution to clean the scale out of them. Subjugate your inner Scrooge; if you do all the work yourself and scour the Web for the best prices, you should be able to install a brand-new water system, including pump, outlets and a water heater, for as little as $1,000. You may even be able to sell your old pump and faucets on eBay to recoup some of your outlay. It’s easy to map out a water system. 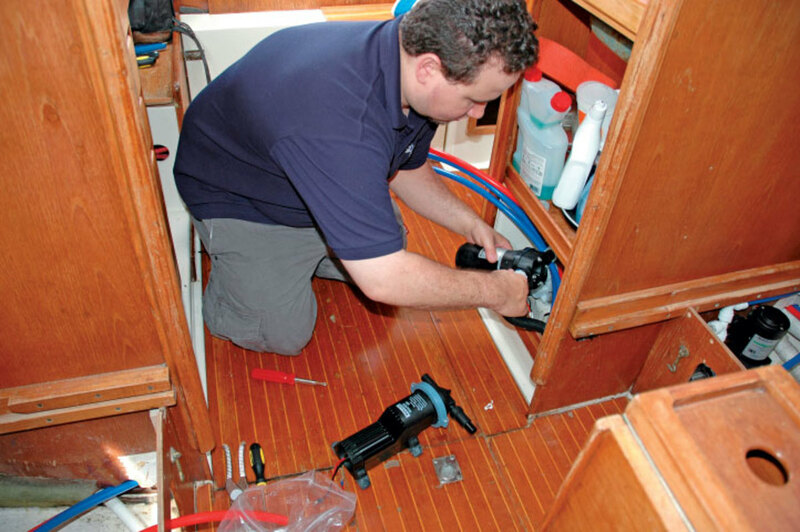 Start with a scale plan of your boat, with lockers and bulkheads and other obstructions marked, and sketch in the plumbing runs, marking the position of every fixture. You’ll be able to calculate the length of the plumbing runs from tank to pump to outlets, and work out how much tubing and how many quick-connect fittings (or tees and hose clips) you’ll need. Write a list of the number and type of fixtures you’d like to add—mixers, foot or hand pumps, water heater, deck shower—then you can price the whole operation, which is likely to be less expensive than you think. Trust me, your family will thank you for it. If your water tank has sprung a leak, you’ll be forced to choose between repairing or replacing it. A repair makes sense only if the leak is easily located and the tank is otherwise in good shape. I once had a leaking 100-gallon stainless steel tank professionally repaired and pressure-tested. It cost me nearly as much money as a new polyethylene tank would have—and because it was under the cabin sole, I had to remove half the saloon furniture before I could get it out. Six months later, that 25-year-old tank sprang another leak along one of the recently repaired seams, and I kicked myself for not having replaced the cursed thing. If you decide to replace your existing tank or add another one, you need to choose the tank material carefully. Aluminum is a poor choice for a water tank. You can’t use fittings with any trace of copper or brass in them. Worse yet, even when installed correctly, it will corrode slowly but insistently from the moment you put it in, and you’ll always be aware of a metallic taste. 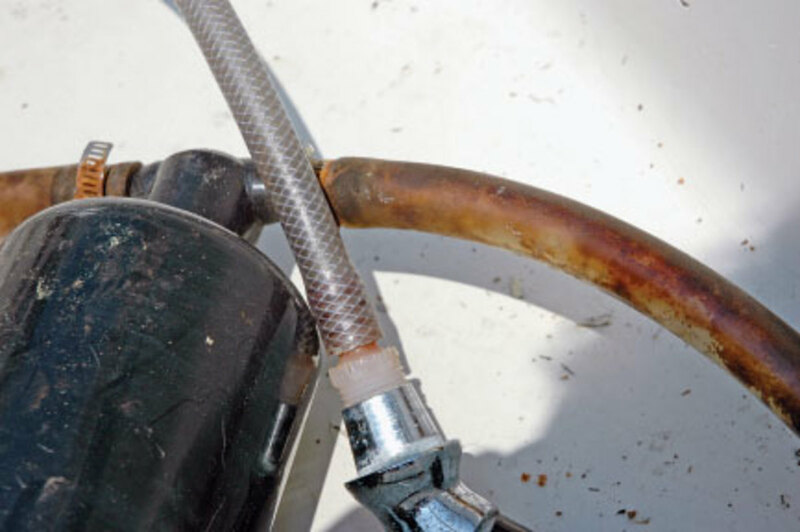 If an aluminum tank is repeatedly soaked in bilge water, it will fail more quickly than you would have thought possible. 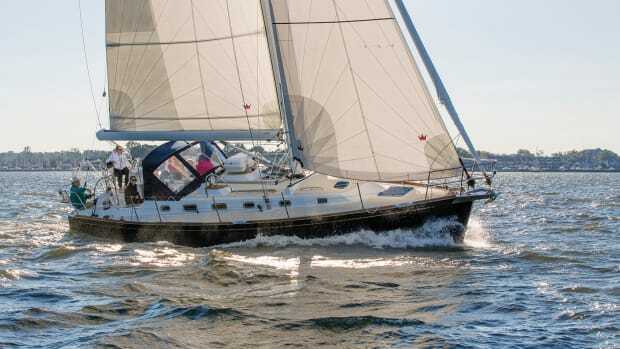 Stainless steel is fine as long as it is 316 stainless, not 304, and kept clear of bilge water. Polyethylene is an excellent material. It won’t corrode, won’t taint water, lasts for decades and doesn’t cost a fortune, as long as you choose from one of the vast variety of stock shapes available from several manufacturers. Fiberglass is the material of choice for many boat owners who decide to build their own water tanks. Making your own tank is a good DIY project and despite rumors to the contrary, fiberglass tanks—whether made with epoxy or polyester resin—do not necessarily make your water taste funky. Flexible bladder tanks can make viable replacements for rigid tanks, but because they constantly move, it can be difficult to install them in such a way that they do not chafe or put a strain on their hose fittings.